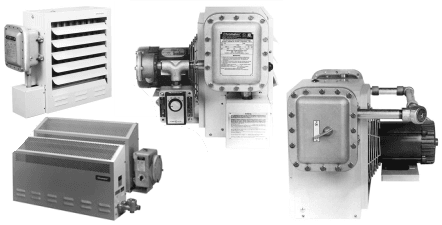 Explosion Proof Archives | Gordo Sales, Inc. - Industrial Process Heating and Control - Gordo Sales, Inc. Adding a fan to an electric air heater creates artificial air movement. This air movement allows for a more compact heater than the convection heater since rapidly moving air removes the heat from the heater surface more quickly. The forced air heater forces air over very long distances and is usually the choice for heating larger areas.